James Perse is known for their extremely comfortable, sophisticated basics inspired by the Southern California lifestyle. The brand represents low maintenance, high fashion that emphasizes elegance and style. That philosophy of sophisticated simplicity has extended to James Perse’s new branded Premiere Men’s Footwear Collection. 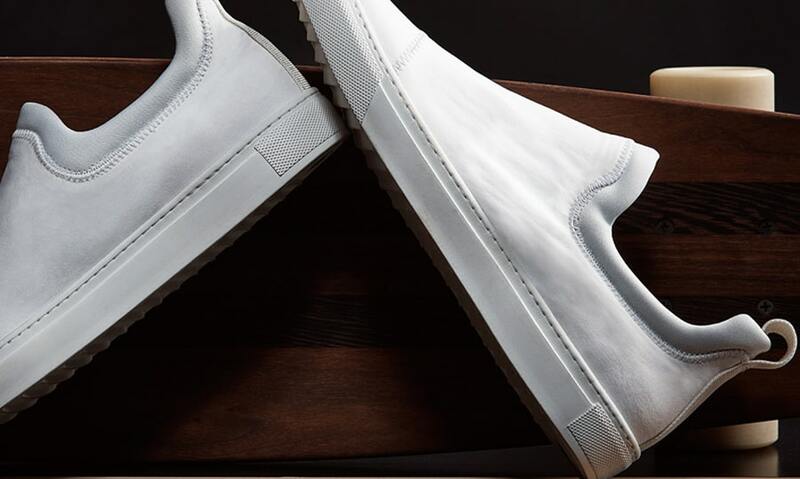 For spring, the James Perse will focus on sneakers. Each uniquely designed shoe is hand-crafted in Italy with a range of refined and classic materials such as buttery soft leather, matte textured nylon, and bonded stretch scuba. The Spring Collection will feature 14 original styles that will appeal to a wide variety of tastes. 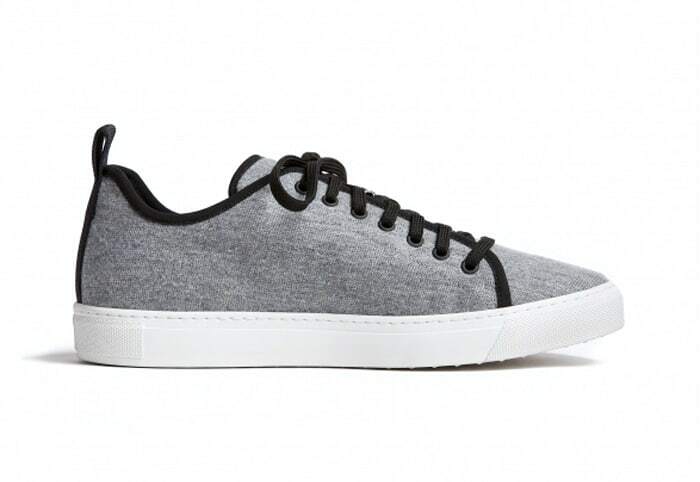 The James Perse Carbon classic sneaker is a low lace up style paired with the exclusively designed rubber sole. Made from Compact Textured Matte Nylon, the sneaker has a matte finish with a natural rippling effect. 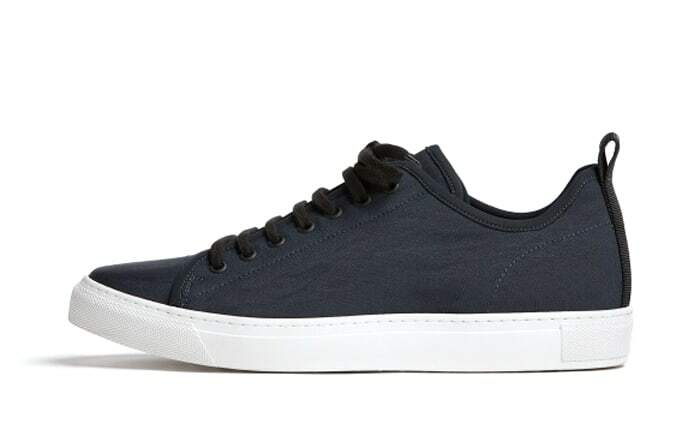 This classic black sneaker is made from Bovine Vegetable Dyed Leather and has a slightly matte finish. 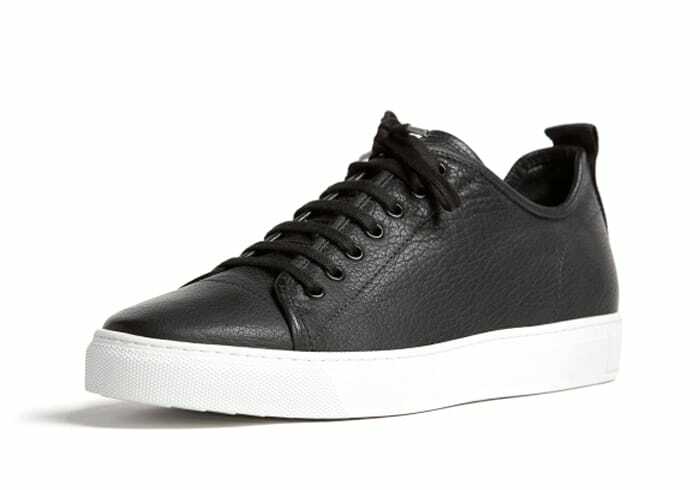 Made in Italy, the James Perse Carbon Leather sneaker features – Rounded Toe, Lightly Padded Tongue and Upper; Breathable Mesh Knit Lining, Black Flat Laces and Matte Black Grommets. Melange Jersey fabric provides great flexibility and comfort and gives this sneaker a unique look that is enhanced by the grosgrain back pull detail. Visit James Perse to see the full line of sneakers in the new Spring Collection.